World renowned, graffiti artist, Banksy has left his mark once more – this time in a refugee camp in Calais, France. The artist created a mural that showcases Apple founder, Steve Jobs as a migrant carrying the first version of the Apple computer and a small bag of possessions. This piece of art is mean to show the world the benefits of migration, a positive light shed on the current Syrian refugee crisis. Jobs is the son of a Syrian migrant and grew up in San Francisco to become one of the most influential people in technology worldwide. Banksy’s work has been known to cause debates and get people talking about particular social and political issues. He has since become a political activist and film producer, his last film about his work making it to the Sundance Film festival. The Steve Jobs mural got a lot of attention on twitter with people angry with the media for glorifying him as Syrian yet he barely lived the life of an actual immigrant. Jobs was adopted by his American parents as soon as he was brought into the country. This brings up the query about whether graffiti can be used to educate rather than being thought of as vandalism. Since Banksy’s success in the street art world (valued works have sold for over £40,000) has brought about a new wave of street art i.e. art that is no longer looked at as vandalism. 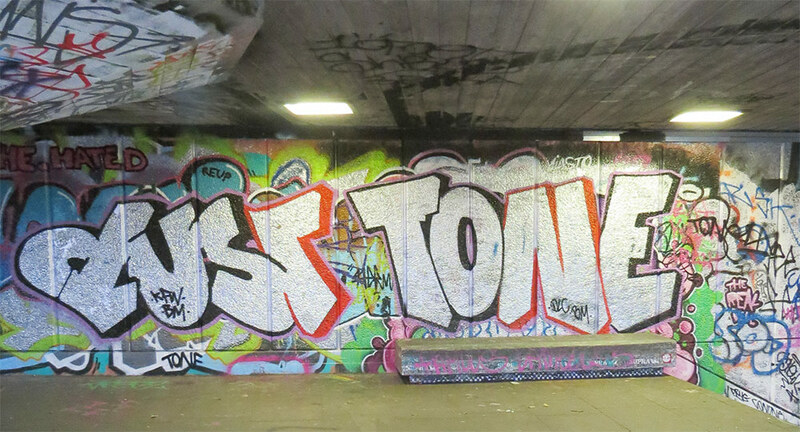 International market research firm, YouGov carried out a digital poll in 2012 to get people’s views on graffiti being acceptable in society as positive. Some people argued that graffiti, whether relaying a positive message or not is still illegal and makes the city look run down. While others reiterated that graffiti, if done legally and in a specific form such as murals, is not such a bad thing as it not only gives a city aesthetic value, graffiti works can also portray important messages to the public as Banksy has done above. Despite the backlash online, the mural did its work – it got people talking. It taught people more about Steve Jobs and his heritage and it also taught people how important it is for society to not shun the refugees. NextAre your credit card and housing payments about to increase?